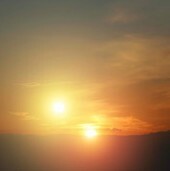 (c) 2011 Design/Analysis Consultants, Inc.
NEWS BITE: Rising Sun Gets Snagged On Mountain And Breaks Apart! Motorists cautioned to avoid area due to high temperatures. Do an initial run and check sensitivities. Thereafter set the variables to their respective worst case values to reduce calc time until the design is finalized. Then set the variables back to their full range for a final calculation to obtain probabilities for risk assessment. ANALYSIS: Why Do A Worst Case Analysis? An LM317T regulator with 36V input is set for 24V nominal output, using 1/8W 1% 100ppm thick film resistors (10K and 549 ohms). The regulator must deliver 1A and operate from 0 to 50 C for 10,000 hours. NEWS BITE: Mutant Singing Cantaloup Wins Karaoke Contest! In our previous Newsletter we provided a pretty good estimate for the ripple current for the bulk capacitor in an AC rectifier circuit. But what if you have a large volume product and you need a full worst case analysis to ensure high reliability, but one that is not overly pessimistic so that you can minimize cost? Design Master can help you achieve that optimum balance. As readers are aware, we’ve started to release some DMeXpert™ “fill in the blank” WCA templates to make the design engineer’s life a bit easier. One of these is our AC Bridge Rectifier Analysis (ACBR1 $19) which allows the designer to determine all of the worst case component stresses within a minute or two. The analysis includes the effects of source impedance Rs (such as transformer secondary winding ohms), which if present can be used to reduce capacitor ripple current requirements, hence reduce capacitor cost. As those who have studied AC rectifier circuits are aware, this seemingly simple circuit has resisted for decades all of the attempts to generate a single-formula solution, until recently, which we’ve included in ACBR1. Based on Keng Wu’s article, “Analyzing Full-Wave Rectifiers With Capacitor Filters” (1 Jan 2010, Power Electronics Technology), Wu’s formula allows a straightforward circuit solution, greatly reducing computational time. So with ACBR1 you can just fill in the blanks, click Calculate, and let Design Master do the rest. Engineers who work for the military are sometimes required to design clothing, equipment, or even entire shelters to be “invisible” to various detection means. 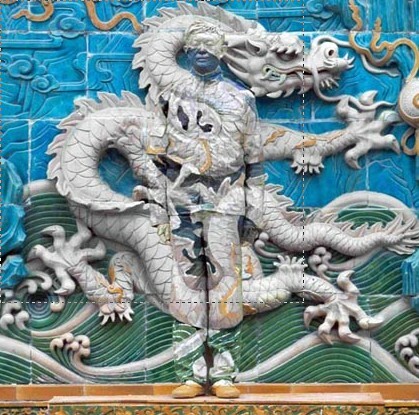 Chinese artist Liu Bolin has a gift for applying such camouflage in a non-technological way, as seen below. Hint: If you can’t spot Liu, look for his shoes first. Some more fascinating photos here and here. A lot of folks like to let a simulator crank out “worst case” results, using Monte Carlo statistical methods. But as we’ve explained previously (“Design Master vs Extreme Value, RSS, Monte Carlo, & Simulation,” and “Design Master vs Monte Carlo“), this can be not only time consuming, but risky. 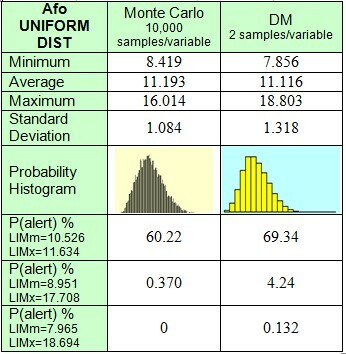 For example, Monte Carlo can easily miss small but significant errors (see example below). In addition, if the Monte Carlo runs are improperly implemented (such as including temperature or other dynamic variables) you will likely obtain wildly inaccurate results. 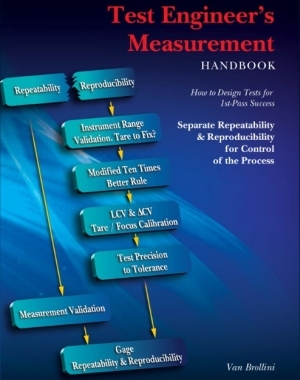 Instead of statistical sampling, Design Master uses a top-down approach to achieve safer and more cost-effective results, by (a) detecting the extreme limits of performance, and then (b) using a proprietary probability algorithm to estimate how often those results will exceed the specification limits. As can be seen, the Monte Carlo analysis detected a minimum of 8.42 versus the actual minimum of 7.86, a 7% error, and a maximum of 16.0 versus the actual maximum of 18.8, a 15% error. The Transient Voltage Suppressor analysis determines whether a TVS avalanche diode and optional steering diode will (a) survive a specified surge voltage or current, (b) clamp the surge below a specified voltage limit, and (c) not clamp the normal operating voltage. Good for any TVS diode and steering diode; just fill in the blanks using data sheet values, and get an answer in a few seconds. TVS diodes are typically rated with 10x1000us current waveforms. 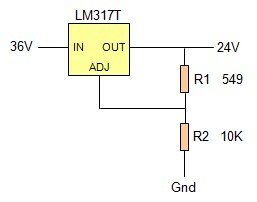 Steering diodes are typically rated with line frequency half-sine current waveforms. When the applied surge has a different waveform, however, the TVS and steering diode ratings must be adjusted accordingly. In addition, the ratings must also be adjusted for pulse width and temperature. To help make the design engineer’s job a little easier, this analysis contains adjustment formulas for all of these factors. Also provides standard surge waveform requirements and helpful hints. DMeXpert™ (DMX) files guide the user with pop-up instructions, component selection lists, standard part values, important formulas, and a variety of other tips that are activated when entering a Formula cell. It’s like having a design/analysis expert at your side. This updated and easy-to-use analysis provides all of the key waveforms, voltages, and currents for the AC full wave bridge rectifier circuit, including the effects of source ohms. Output includes average input amps, rms input amps, input watts, Rs watts, capacitor rms amps, average load volts, average load amps, and output watts.